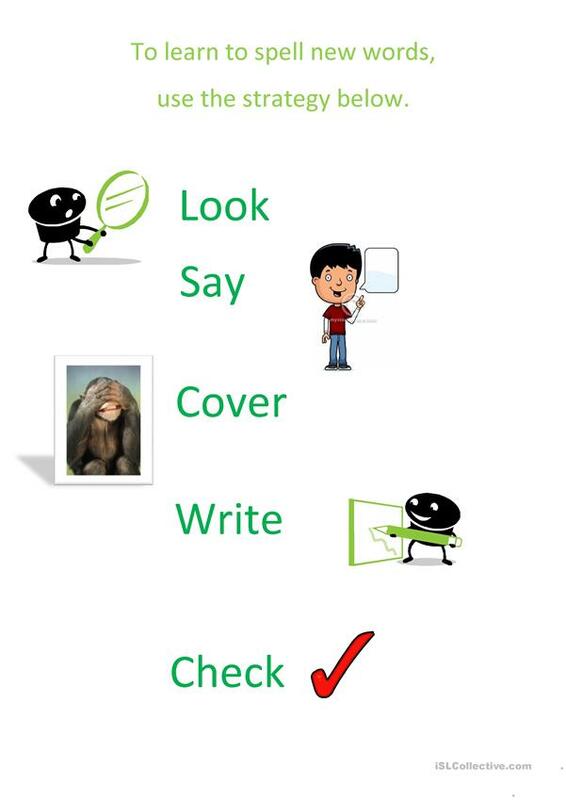 A poster which reminds students of one of the most commonly used ways to practise spelling new words. This downloadable handout is intended for elementary school students and adults at Beginner (pre-A1) and Elementary (A1) level. It is a valuable material for enhancing your learners' Spelling skills.